What I've found is that the R# Find Usages Preview Pane inherits its background color from VS Options > Colors > Definition Window Background. However, the foreground colors seem to become a mixture of default VS colors and custom defined colors. 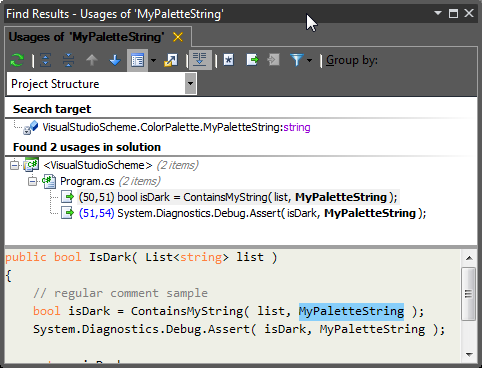 Visual Studio Colors: notice the VS code definition window on bottom is correctly colored. R# Find Usages Preview Pane Colors: notice the preview pane has a dark background, but none of the foreground colors are correct. 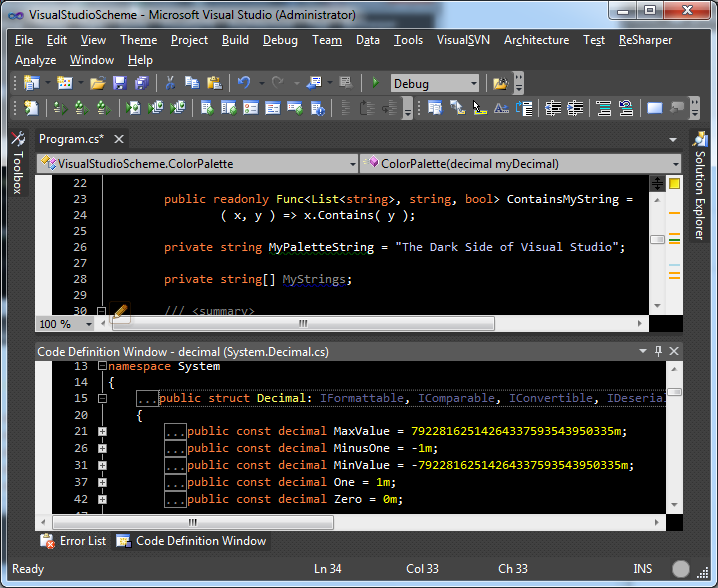 Visual Studio Colors: notice the VS code definition window on bottom become unreadable. 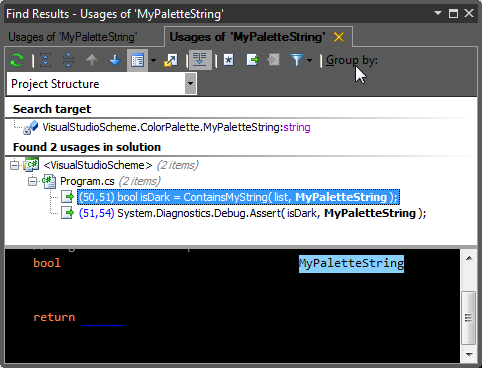 R# Find Usages Preview Pane Colors: notice the preview pane is now readable; although, the foreground colors are now a mixture of the default VS colors and custom defined colors. 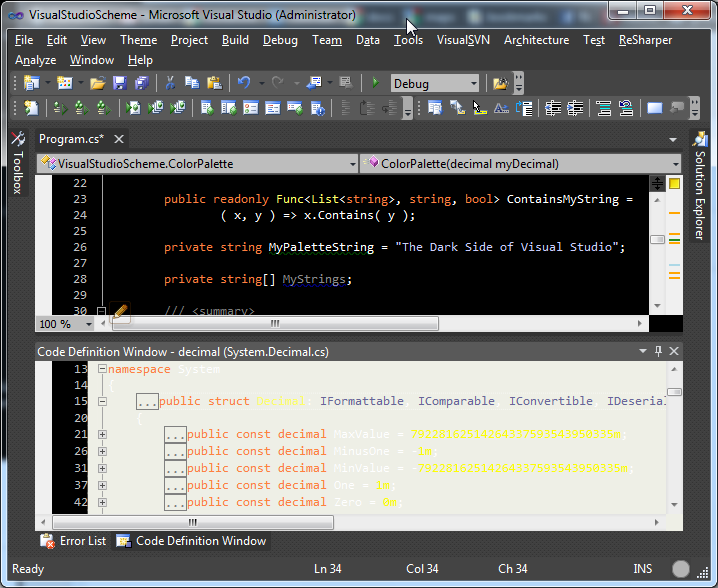 Is there a way to force R#'s Find Usages Preview Pane to use the color scheme as defined by VS?